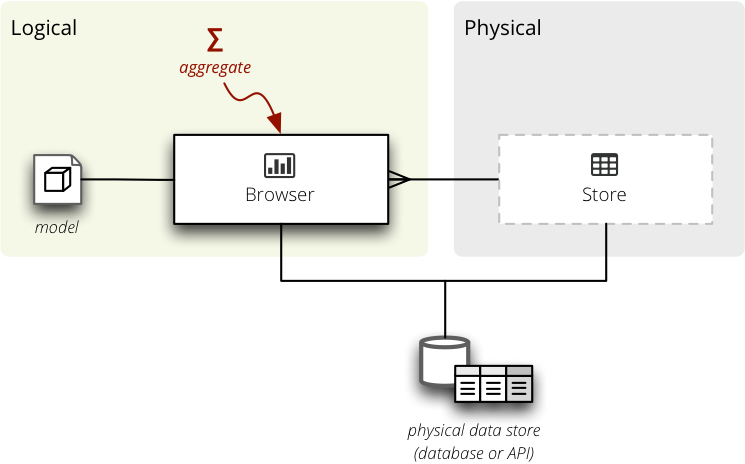 Data for cubes are provided by a data store – every cube has one. Stores have to be subclasses of Store for cubes to be able to find them. __init__(**options) – initialize the store with options . Even if you use named arguments, you have to include the **options . The custom store has to be a subclass of Store so Cubes can find it. The name will be derived from the class name: MyStore will become my , AnotherSQLStore will become another_sql . To explicitly specify a store name, set the __extension_name__ class variable. The store is configured from a slicer.ini file. The store instance receives all options from it’s configuration file section as arguments to the __init__() method. 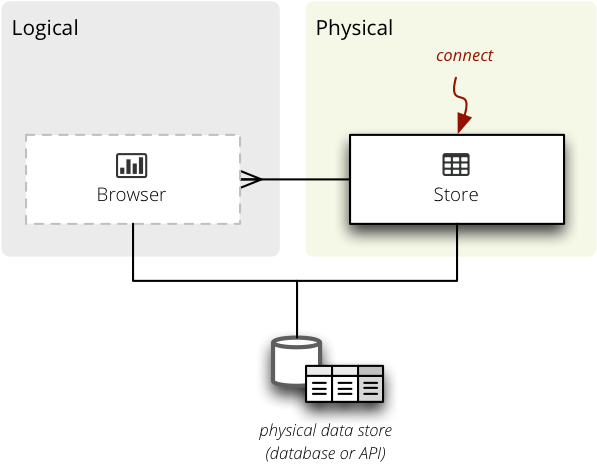 "description": "Name of data collection"
Browser retrieves data from a store and works in a context of a cube and locale . __init__(cube, store, locale) – initialize the browser for cube stored in a store and use model and data locale . aggregate() , facts() , fact() , members() – all basic browser actions that take a cell as first argument. See AggregationBrowser for more information. In this case, the browser will be known by the name sql. The current AggregationBrowser API towards the extension development is provisional and will verylikely change. The change will mostly involve removal of requirements for preparation of arguments and return value. Don’t override the aggregate() method – it takes care of proper argument conversions and set-up. The browser features for all or a particuliar cube (if there are differences) are returned by the cubes.AggregationBrowser.features() method. The method is expected to return at least one key in the dictionary: actions with list of browser actions that the browser supports. Browser actions are: aggregate, fact, facts, members and cell. Optional but recommended is setting the list of aggregate_functions – functions for measures computed in the browser’s engine. The other is post_aggregate_functions – list of fucntions used as post-aggregation outside of the browser. The browser instance receives the options as parameters to the __init__() method.